Professors in the Faculty of Arts, Humanities and Cultures have set out their research visions in their inaugural lectures. Inaugural Lecture given in October 2018. In this public lecture, Professor C.W. Anderson explored the relationship between the digital transformation of journalism and democratic life. He discussed journalistic authority, the history of data journalism and the emerging aesthetics of the digital public sphere. Inaugural Lecture given February 2018. In 1975 Leonard Matlovich, a decorated Vietnam Veteran and Air Force Sergeant, came out publicly in order to challenge the U.S. military’s blanket ban on gay service personnel. Championed enthusiastically by influential figures in the gay rights movement, the Matlovich campaign caused profound discomfort to many LGBT activists who had energetically opposed the Vietnam War, and seen gay liberation as part of a wider struggle to challenge U.S. imperialism and militarism, and radically re-make American society. This lecture will considered Matlovich’s contribution to the struggle for LGBT equality, and reflected on what his emergence as a ‘gay rights hero’ tells us about the wider movement. Inaugural Lecture given November 2017. At the opening of Dante’s Purgatorio, as they find themselves on the shore of Mount Purgatory, Dante and Virgil are approached by a group of newly arrived, bewildered souls, who ask them for directions. Virgil responds that, though the souls might believe they have knowledge of the place, “Noi siam peregrin come voi siete” [we are pilgrims here, as you are] (Purg. II, 63). In this lecture Professor Treherne took this moment as a starting point to think, with Dante, through some of the central questions which occupy him in his Commedia: on knowledge, vernacular language, and what it means to recognise and flourish with other human beings. He showed that Dante, read with proper attention to his historical context, can continue to speak to us in rich ways today. For most of the last century, bilingual children in primary school were relatively rare. In recent decades the school environment has changed enormously. Now a quarter of all children attending primary school are bilingual. The consequences of this profound change to the educational environment are not known, either in terms of the demands it places on school resources, or on how bilinguals can be assessed fairly when they lag in English proficiency. In this lecture, Professor De Cat looked at a recent Yorkshire-based study of 5-7 year olds that collected some of the evidence we need to start answering questions about the role and performance of bilingual children in British classrooms today. We need to understand the size and nature of the gap (in English proficiency) between bilingual and monolingual children in order to address specific educational needs. Can we predict the size of that gap from the amount of experience in the home language? Are different aspects of English proficiency affected in the same way? Does bilingualism confer a cognitive advantage, as has been claimed in the media? Inaugural Lecture given in November 2017. Professor Dennison’s talk took as its focus the shifting modes of women's filmmaking and film production in Brazil in the 21st century. These shifts were traced against the backdrop of first of all the Workers Party-related agenda of greater engagement with so-called women's issues, and the kind of narratives that have been produced by the "Workers Party Project". Professor Dennison considered the recent (post 2016) filmmaking scene. As Eliane Brum has argued, the impeachment of Brazil's first female president Dilma Rousseff demonstrated that Brazil is undergoing a major crisis of identity. To address this question professor Dennison explored the extent to which this this crisis played out in recent films by or dealing primarily with women. The work of a number of filmmakers, including Maria Augusta Ramos, Anna Muylaert and Kleber Mendonça Filho were used as examples throughout the lecture. Inaugural Lecture given December 2016. This lecture explored how, since the 19th century, the history of European Latin monasticism has been interpreted by historians, archaeologists and art historians in a way that reflected the changing concerns of contemporary society. Professor Jamroziak also explained how her own current work on late medieval Cistercian monasticism attempts to move away from the past paradigm and show how monastic history continues to reflect the present and its concerns. 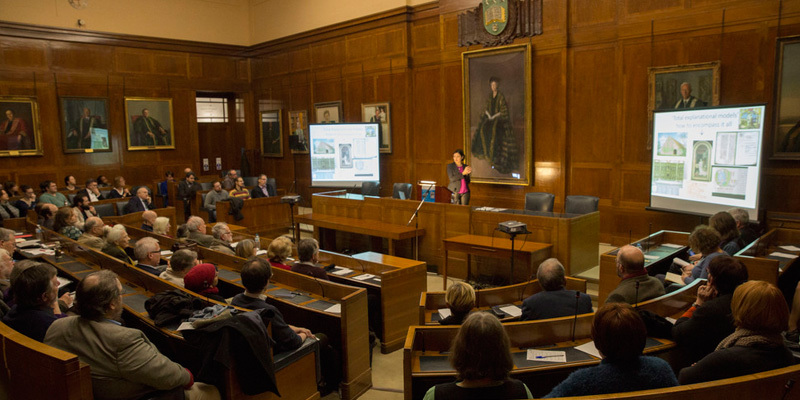 Inaugural Lecture given March 2016. In his lecture, Manuel examined how a series of historical events that occurred in West Africa from the mid-1790s - including Afonja's rebellion, the Owu wars, the Fulani-led jihad, and the migrations to Egbaland - had an impact upon life in cities and plantations in Bahia, Brazil and western Cuba during the first half of the nineteenth century. Why did these two geographical areas serve as the theatre for the uprising of the Nagos, the Lucumis, and other West African men and women? To understand why these two areas followed such similar social patterns it is essential to look across the Atlantic and to centre the focus on the African side of the story. The lecture also raised the broader issue of how American, Latin American and Caribbean historians can make a better use of African history and historical sources to illuminate their subjects of study. Inaugural Lecture given April 2015. In this lecture, Helen Steward introduced her work on free will by way of a personal reflection on the philosophical attitudes, methods and perspectives adopted by two of her first philosophical teachers, Jean Austin and Kathy Wilkes, both of whom tutored at St Hilda's College, Oxford, where Helen studied for her undergraduate degree. The lecture explained how her most recent book, A Metaphysics for Freedom (OUP, 2012), can be understood as a work on which their two radically differing attitudes to the subject of philosophy - Jean Austin's vision of philosophy as pure conceptual analysis, focused on ordinary language, careful linguistic distinctions, the discernment of important ambiguities and equivocations, and Kathy Wilkes' conception of the subject as continuous with the sciences and unable to function in isolation from them, both had an important influence. The lecture outlined an animalistic understanding of free will, whereby free will, in its most basic manifestations, is thought of as a power common to a great many animals. The animalistic conception is contrasted with two alternative influential conceptions, mentalism (which regards free will as essentially involving specifically mental forms of causation); and mechanism, which insists that free willed actions, whatever they are, must be determined entirely bottom-up, by the interactions of the complex parts of which the human body, and especially the human brain, is constituted. Animalism, it is argued, must reject both theses. In this lecture, William Gould explored the idea of Indian citizenship as a practiced experiential phenomenon, socially differentiated, cutting across formal structure of rules and rights arising from democratic conventions. Drawing on recent approaches to the state in India and employing a range of case studies of how citizenship was practiced, he suggests that early independent India generated various projects which created the artificial impression of a distinction between state and society. This, he argued, was a by-product of state-driven notions of citizenship which were always challenged by competing social claims. Finally, the lecture explored some of the ways in which new and insurgent forms of citizenship emerged, sometimes around vernacular ideas of rights.